If you've ever strolled through Rosalind Park in Bendigo you've no doubt seen the large poppet head. The structure has been sitting idly in the park since 1931, when it was moved from the Garden Gully United mine (one of Bendigo's richest mines). The old poppet is being brought into the 21st century for a brilliant, one-night-only performance. 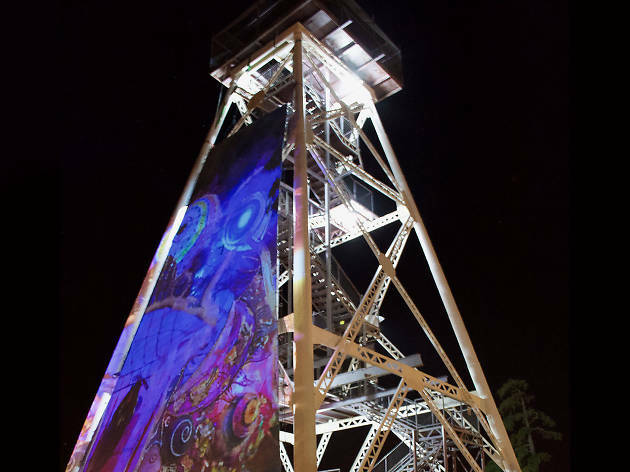 Artists from the township of Natimuk will transform the structure in Poppet, a show combining interactive projection art, aerial dancing, music and shadow puppetry. Over the course of the all-ages event Poppet will take audiences through the structure's past, present and other notable moments. Rock up early to take part in the preshow events and make sure you bring a picnic rug or camp chair to sit on. 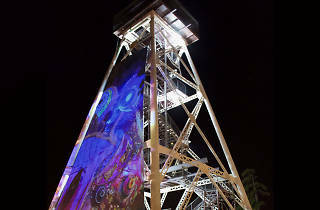 The free event starts at 7.30pm at Poppet Head lookout at Rosalind Park, Bendigo.